Facebook, Instagram, and Google Photos are all wonderful platforms for storing and sharing your photos. But if you are concerned that having your photos online will affect your internet privacy, this guide will show you how to delete your Google Photos. To get started, select from the options below. 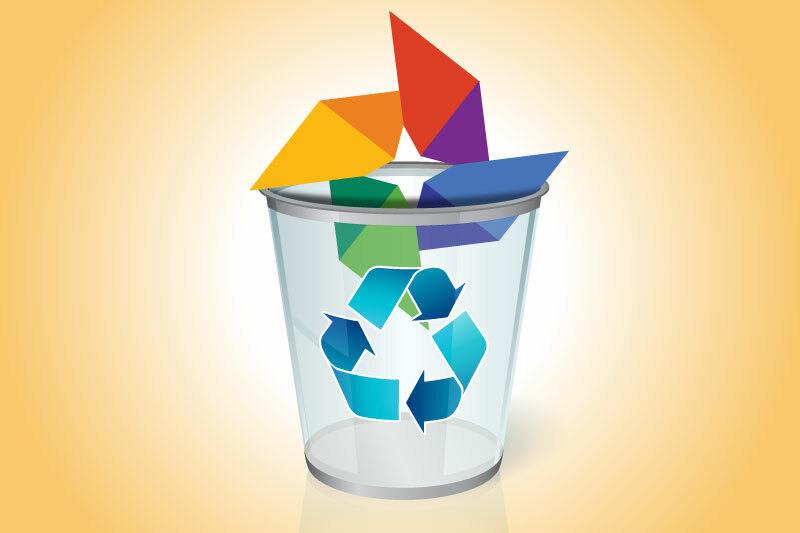 Google Photos is a free photo and video storage service that provides unlimited space and automatic file backup. While the service and app offer an easy way to store your favorite memories online, you shouldn’t jump in before reading the Google Terms of Service. While Google maintains that it will secure your permission before using your content for commercial/promotional services, you should know that the company will use what you store online to learn about your preferences and show you targeted ads. Learn how to opt out of seeing personalized ads here. 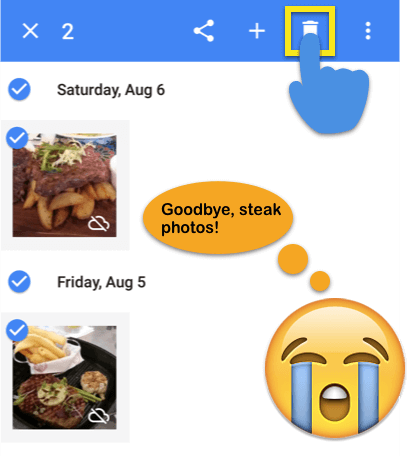 Is Google Photos safe to use? How much do you trust Google with your personal data? Are you willing to give up some internet privacy for added media storage convenience? 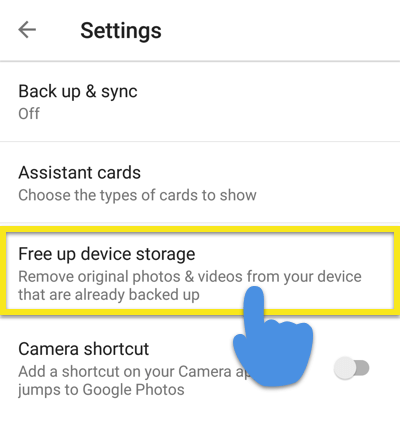 This option allows you to delete photos from your device while keeping cloud copies in your Google Photos library. 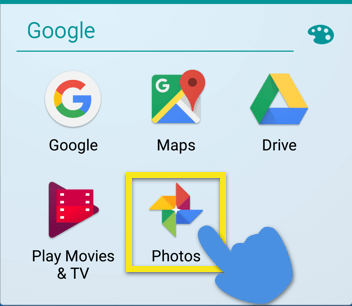 Step 1: Open your Google Photos app. 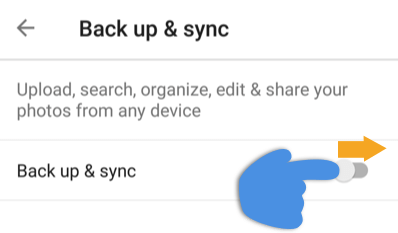 Step 2: Tap on Menu ≡ > Settings > Back up & sync. Step 3: Toggle the switch for Back up & sync ON. Step 4: Return to the main app screen. If you have a lot of photos, you may need to wait for them to be backed up. An item that has been backed up will not display the icon. Step 5: Tap on Menu (≡) > Settings > Free up device storage and follow the instructions. 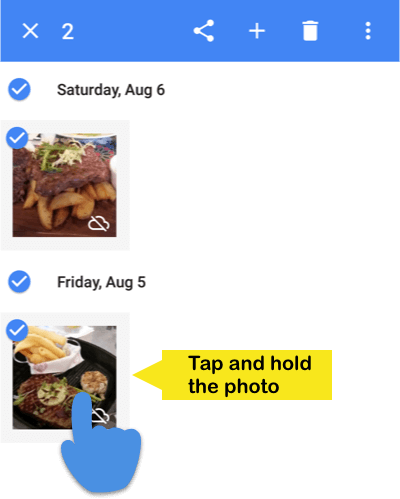 Step 6: To access the cloud copies of your photos, go to the Photos section of the app. Enjoy! 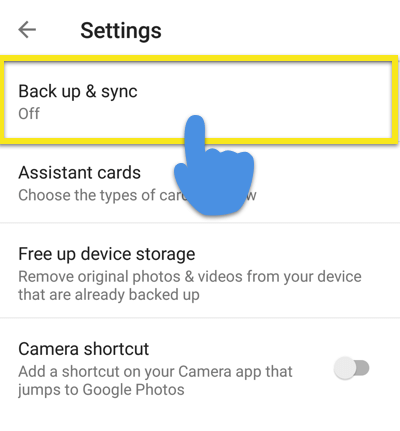 This option will delete photos from your Google Photo account and any device that syncs to your Google Photos library. If you only want to delete photos from your device but maintain a copy online, follow the instructions for deleting photos on your device only. Step 4: Tap and hold a photo you want to delete. Repeat this for every photo you want to delete. 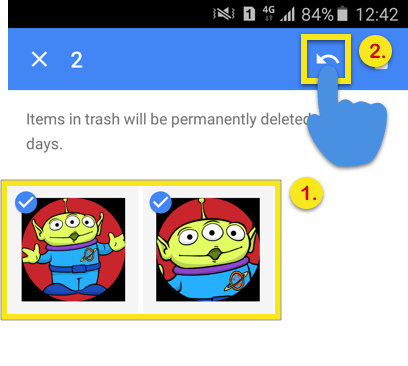 Step 5: Tap on the Trash icon ( ) to delete the file(s). Made a mistake? 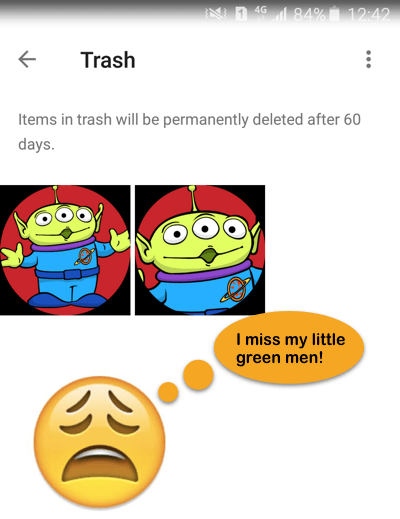 If you deleted your photos by mistake, you can recover them within 60 days (but no longer). Find out how in the next section. Accidentally deleted some photos and need to get them back? Not to worry! Step 2: Tap on Menu (≡) > Trash ( ). You will see all your deleted photos here. Step 3: Tap and hold the photos you want to restore. Then tap the Restore ( ) button. Note: If it’s been more than 60 days since you deleted your photos, there is nothing you can do to restore it.